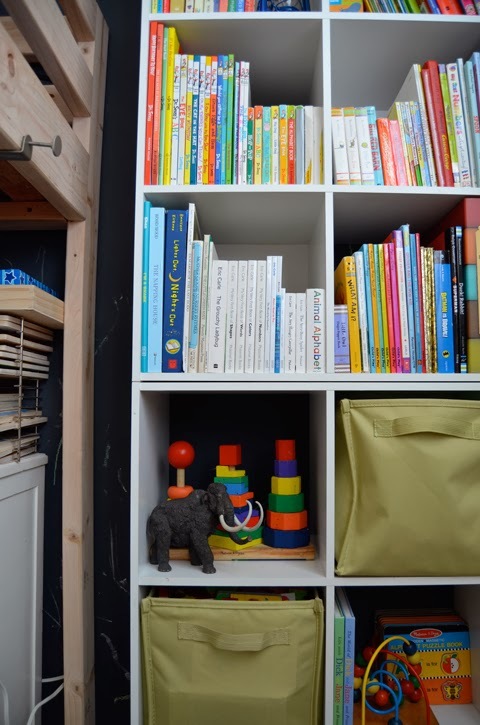 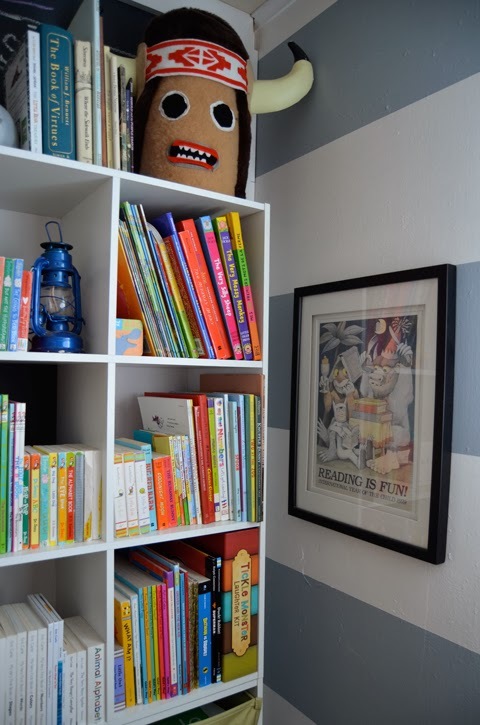 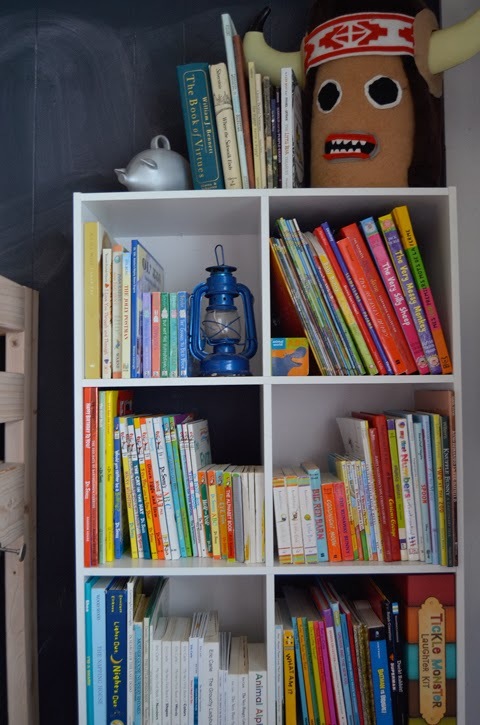 To free up even more floor space we stacked the two cubby style bookcases on top of one another and secured each to the wall. 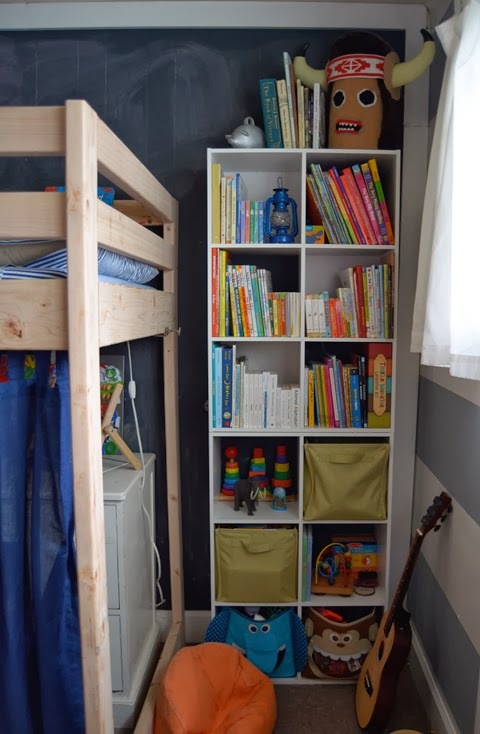 Along with the boys' book collection I included some fabric bin toy storage for their cars, trains/tracks, building blocks and sporty stuff. 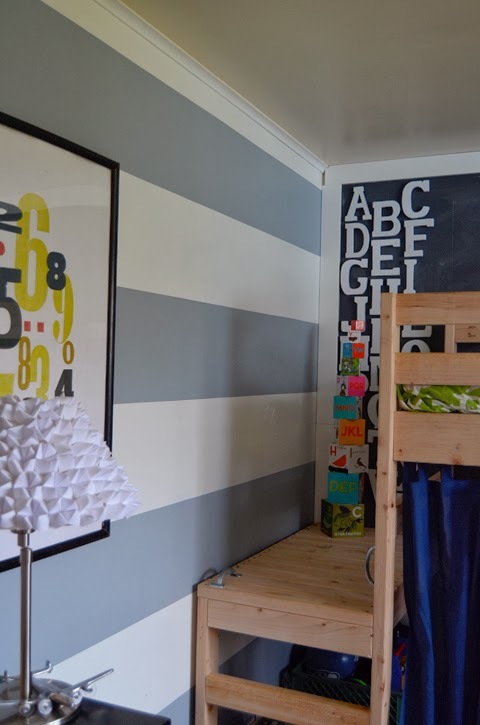 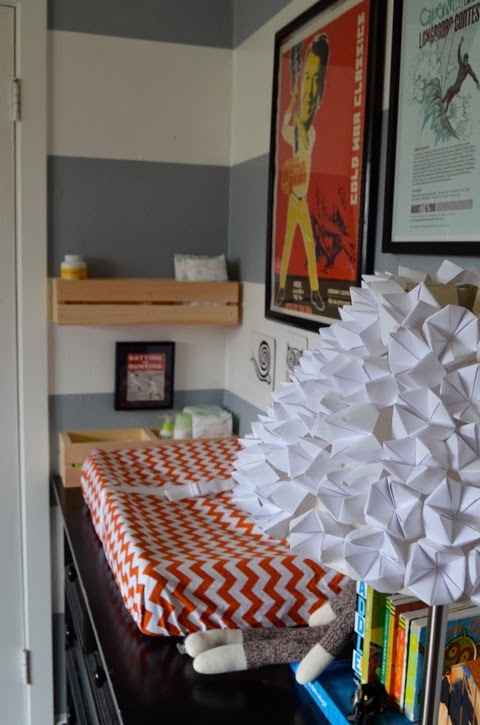 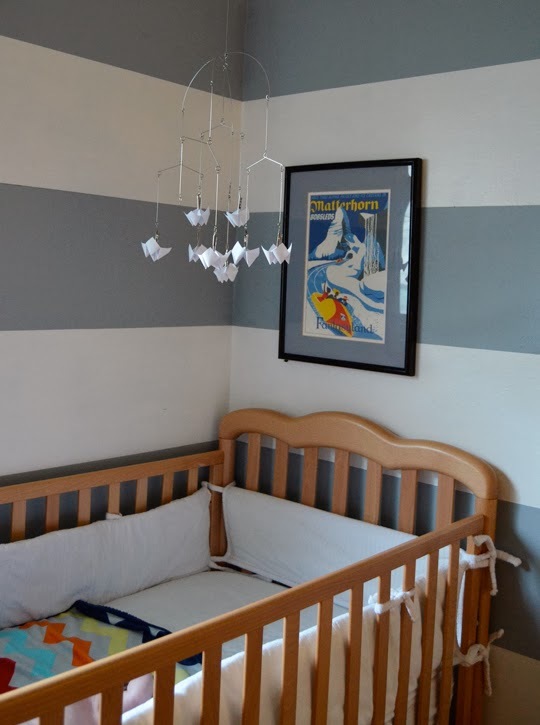 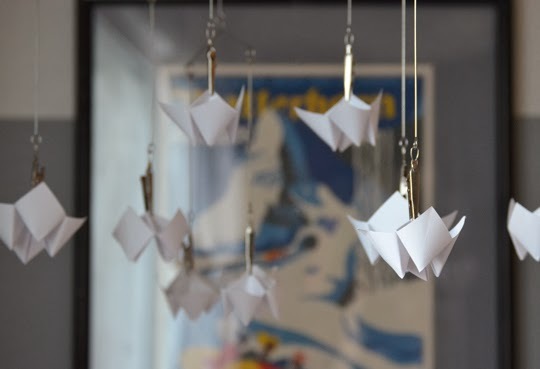 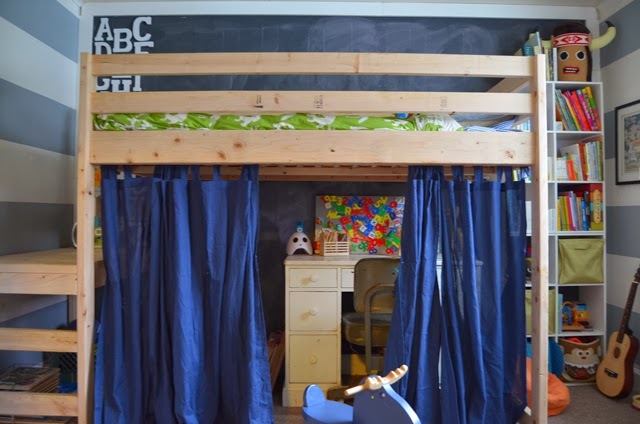 Callaghan's side of the room was kept pretty simple with a DIY faceted mobile and white bed linens. 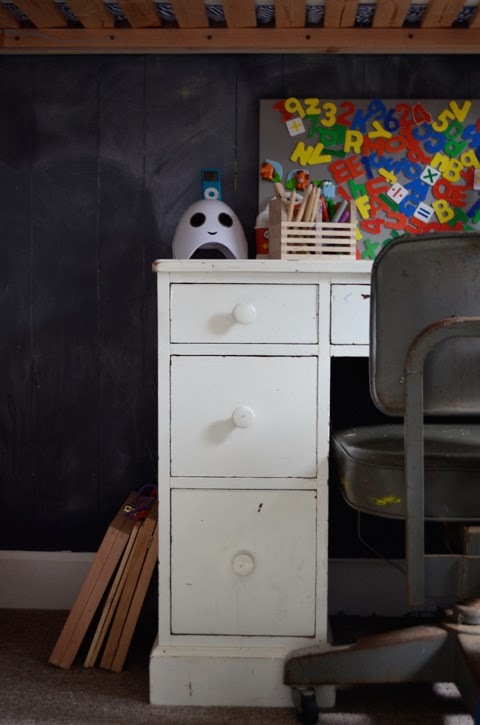 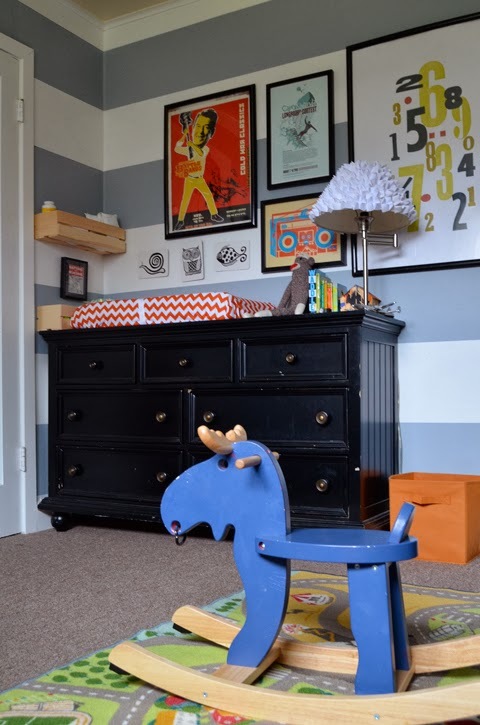 Our old blue dresser wasn't quite large enough so I swapped it with my sister for this black 7-drawer dresser which is just big enough to hold a diaper changing station and the DIY faceted table lamp on top. 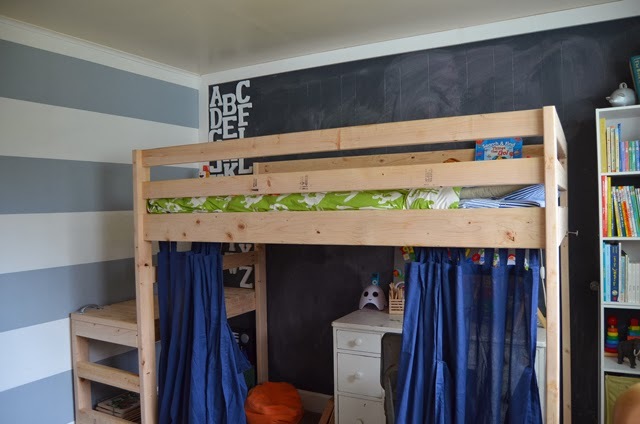 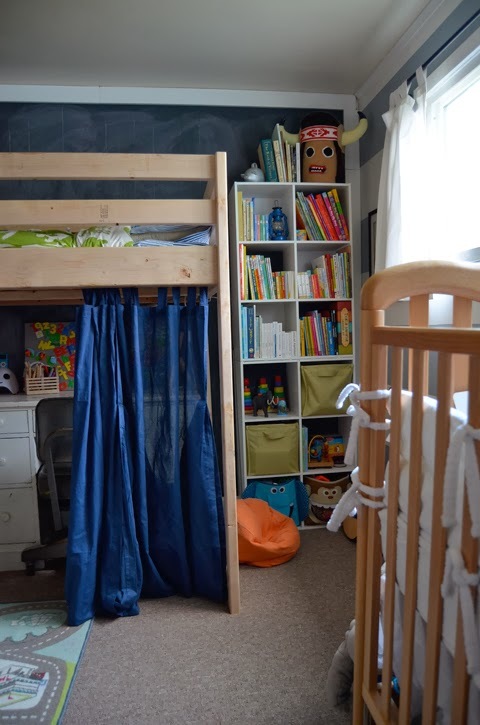 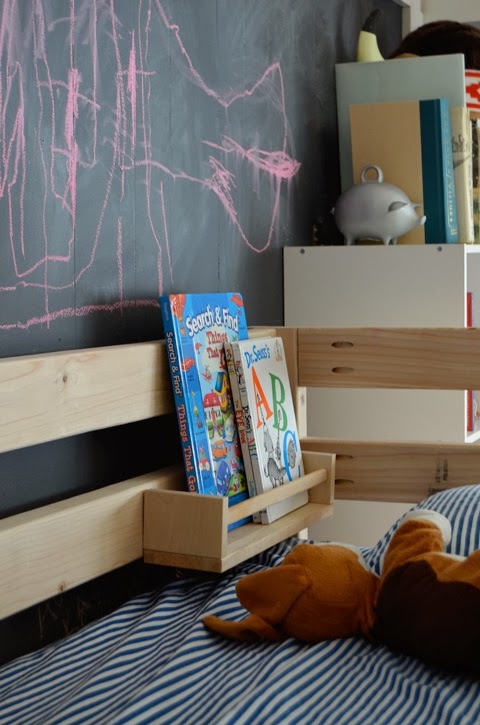 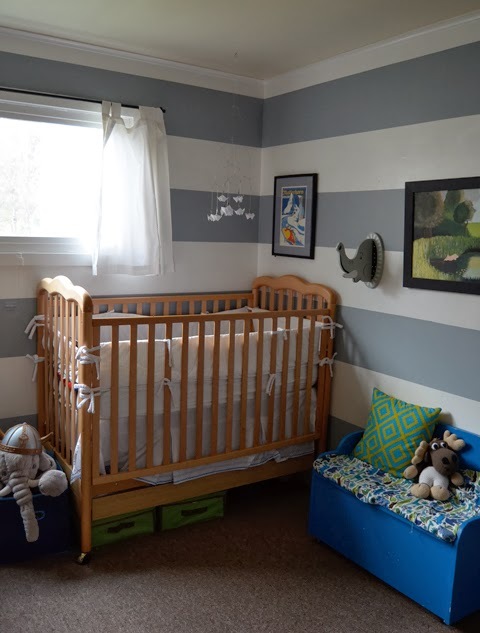 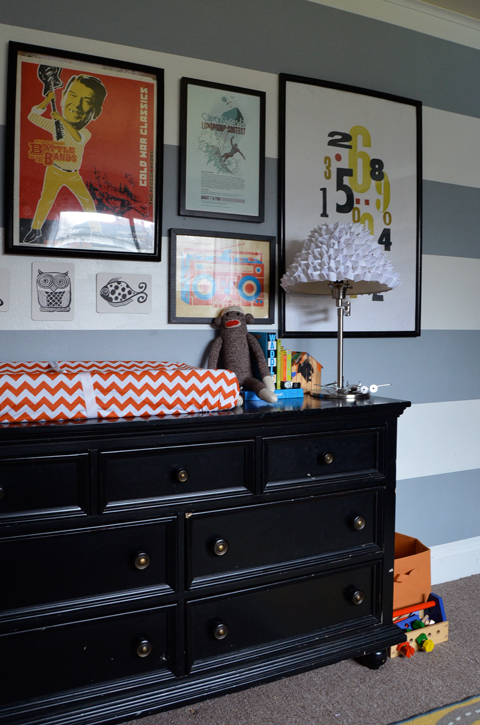 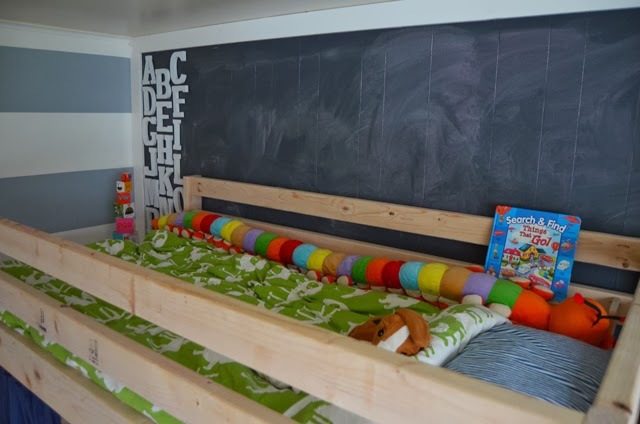 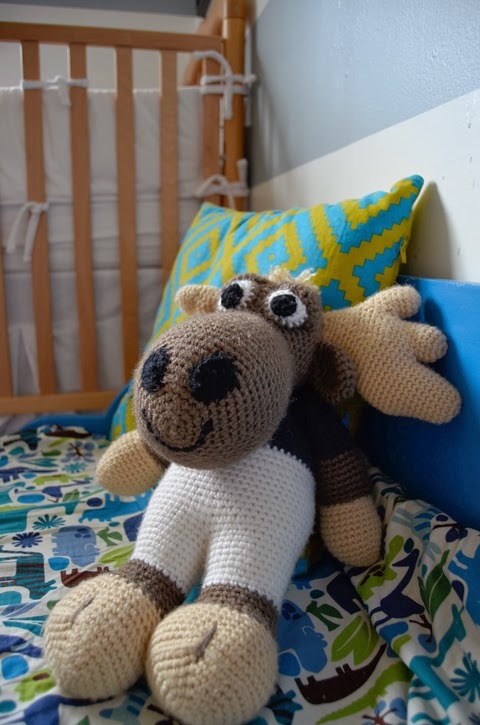 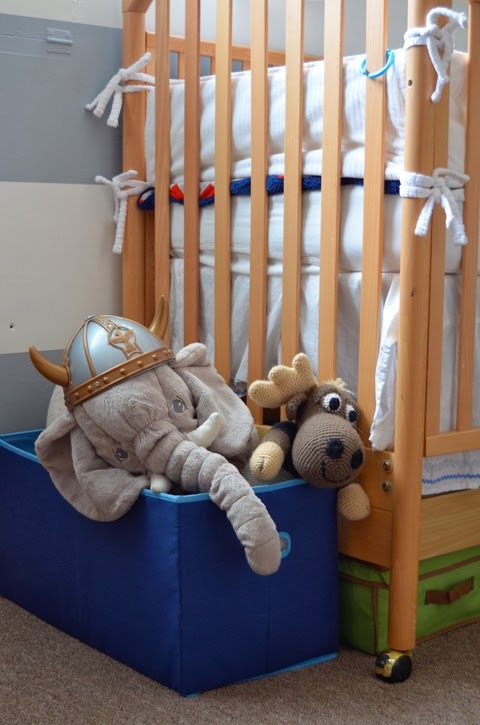 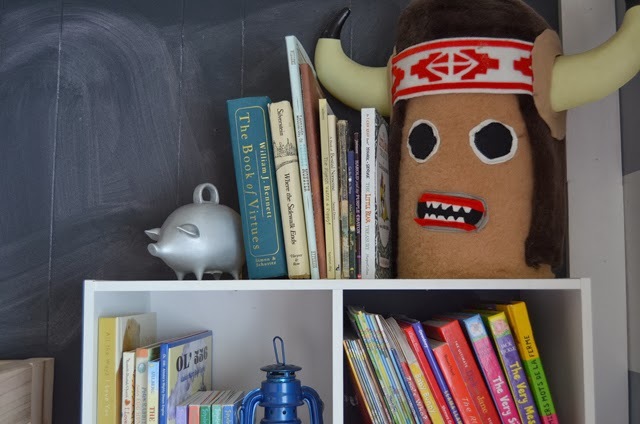 For a look back at how far this room has come, check out this first update to Luke's room. 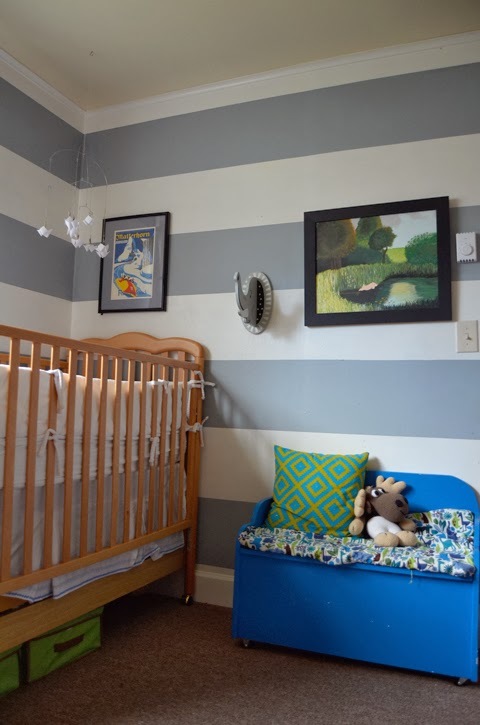 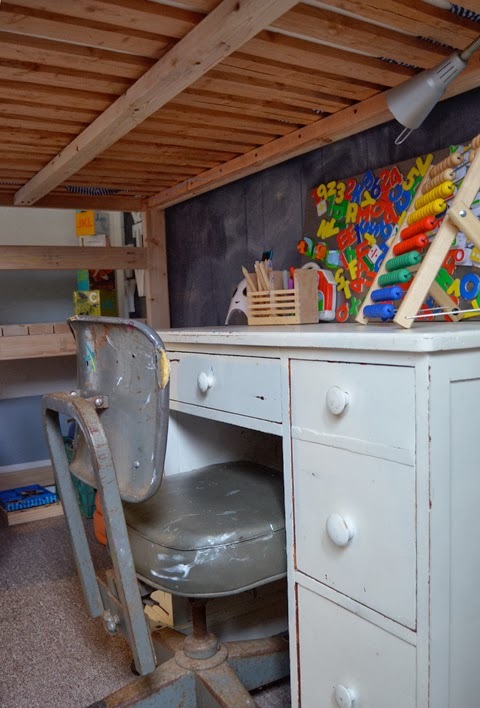 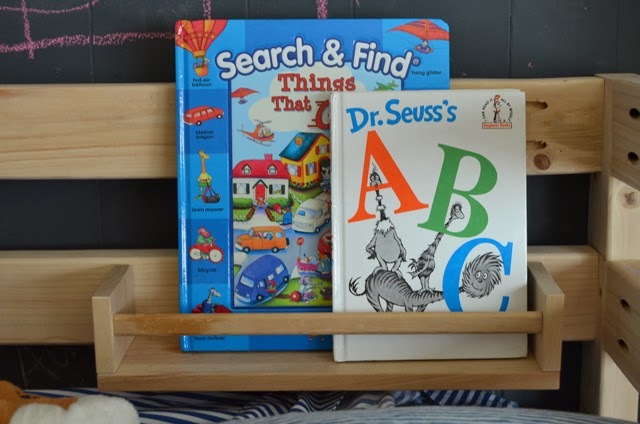 As with most of the rooms in our home, this bedroom is sure to go through many more changes - especially once Callaghan outgrows his crib - but for now it is the perfect little space for both a toddler and a baby.